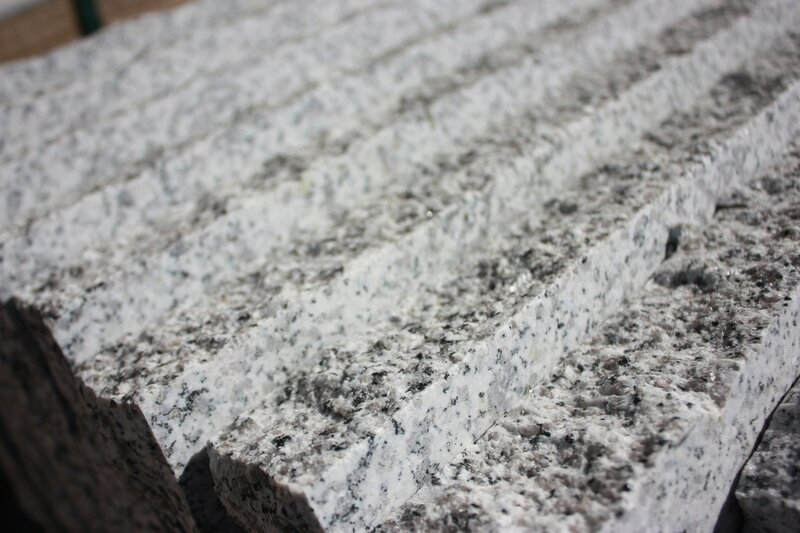 Granite is considered one of the hardest and strongest natural stones found on Earth making it a perfect choice for any exterior hardscape design. 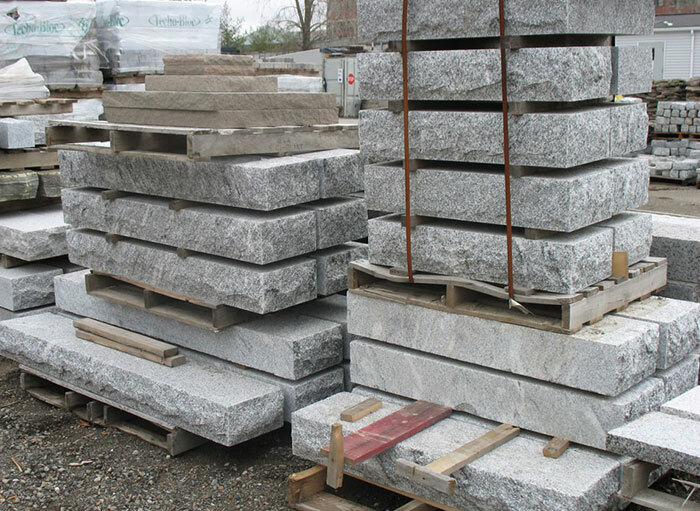 Our ​imported granite comes from China and is a great economical choice for anyone seeking a light gray color. Imported granite is no different than granite mined in the United States. It offers a similar "salt & pepper" appearance but with larger flecks of black and brown. 2" Thick Treads: Lengths from 3' to 10' and Widestock 12" - 24". 7" Thick Steps, Fillers, and Landings in various sizes. 1¼" Thick Random Sized Pattern Stock: 12" x 24" | 12" x 36" | 18" x 36" | 24" x 24" | 24" x 30" | 24" x 36" | 30" x 30"
*Custom orders and fabrication for treads, steps, landings, caps, hearths, mantels, posts, etc. are available upon request. Please contact TLC Supply for a quote. Natural stones are products of nature: variations in color, pattern, texture and veining are acceptable. These differences and variations in natural stone should be considered the inherent beauty of the stone instead of flaws. The purchaser acknowledges that additional stone ordered at a later time can be more expensive and cannot be guaranteed to match the original stone.